The leader of the centre-right European People’s Party (EPP) Joseph Daul hailed the “window of opportunity” to resolve a long-standing name dispute between Greece and the Former Yugoslav Republic of Macedonia (FYROM), saying he hopes for concrete results. Daul’s comment comes at a crucial moment of the negotiations and is contrary to that of the EPP’s Greek affiliate party, New Democracy, which claims that a solution to the name should be postponed. 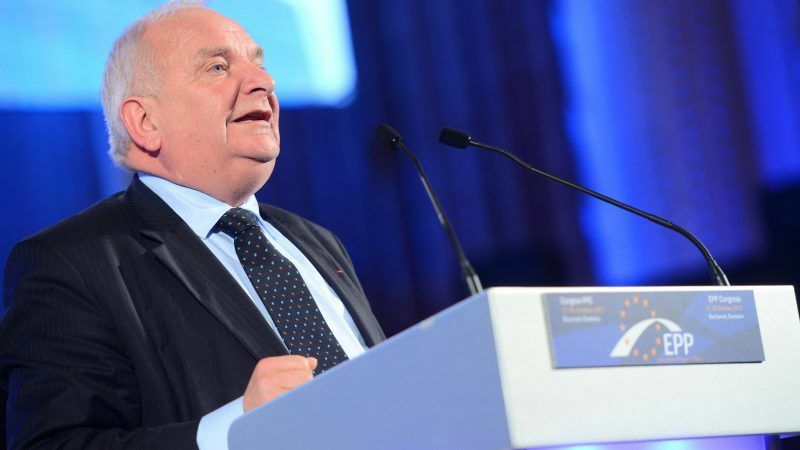 “I hope that a mutually acceptable solution will be found and we welcome this window of opportunity that could lead to concrete results,” Daul told EURACTIV.com on Wednesday (24 January) in an exclusive statement. The leaders of the two Balkan countries made further progress at a meeting in Davos on Wednesday, building on a rapprochement that started when Social Democrat Zoran Zaev took power in Macedonia last year and replaced the conservative nationalist predecessors. But in Athens, the issue was not put to rest, as the main opposition New Democracy said the solution to the name dispute should be sought at another time, with proper preparation and not with the “secretive” agenda the leftist government has adopted. The Greek government reacted strongly, saying that conservative leader Kyriakos Mitsotakis had bowed to political pressure from the “extreme-right” lawmakers of his party. 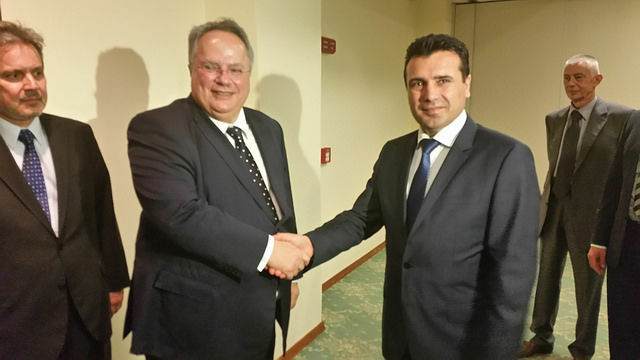 FYROM Prime Minister Zaev held three hours of talks with his Greek counterpart Alexis Tsipras in Davos on 24 January and the two decided to take the talks a step forward. Zaev said it was a moment to build good and prosperity relations in the entire region of the Balkans and stressed that his country wants to be a partner of Greece in the EU and NATO. All UN member states currently recognise FYROM as a sovereign state but remain divided over what to call it, Macedonia (its official constitutional name, opposed by Greece) or FYROM. The EU is also divided over the issue and the name dispute has been mediated by the United Nations. Due to the name dispute, Athens has blocked FYROM’s attempts to join both the EU and NATO. Athens argues that the name Macedonia suggests that Skopje has territorial claims to the northernmost Greek region of the same name, of which Thessaloniki is the capital. 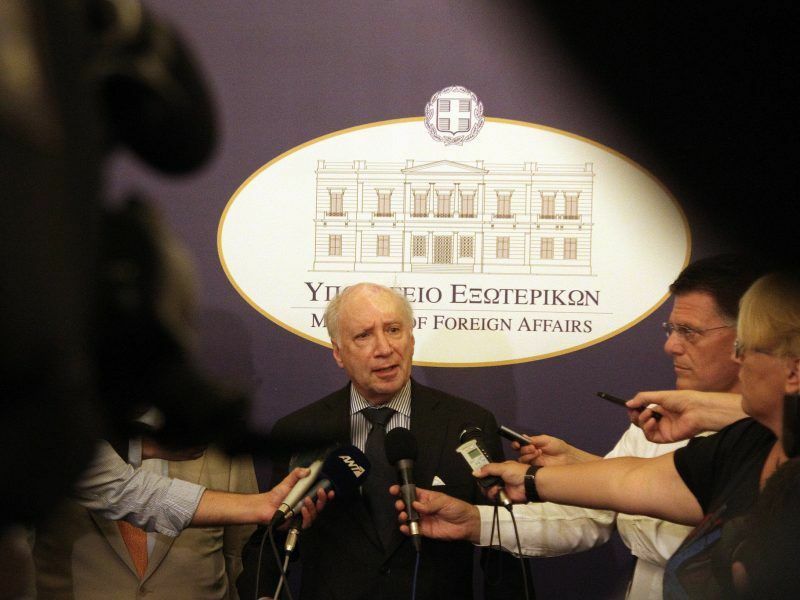 According to press reports in Skopje, UN special envoy on the name dispute, Matthew Nimetz, will visit the two countries at the end of the month to further discuss the proposals he presented during a meeting in the US on 17 January. Greece and the Former Yugoslav Republic of Macedonia (FYROM) are moving closer to resolving a 25-year-old name dispute, which should pave the way for Skopje to join NATO this year and possibly remove a major obstacle for its EU integration. In a signal of “strong commitment” to finding a solution, Zaev noted that he would rename Skopje’s Alexander the Great airport – the new name is not known yet – as well as the north-south ‘Alexander the Great’ motorway ending at the Greek border, which will be renamed “Friendship Highway”. Both names came from the previous nationalist government’s drive to revamp the country’s image. “Our action shows that we have no irredentist aspirations and we hope to be a step towards the solution,” Zaev said. Tsipras reiterated that his country did not only want to resolve the name dispute but simultaneously put relations between the two countries on solid foundations of mutual respect and good neighbourliness. 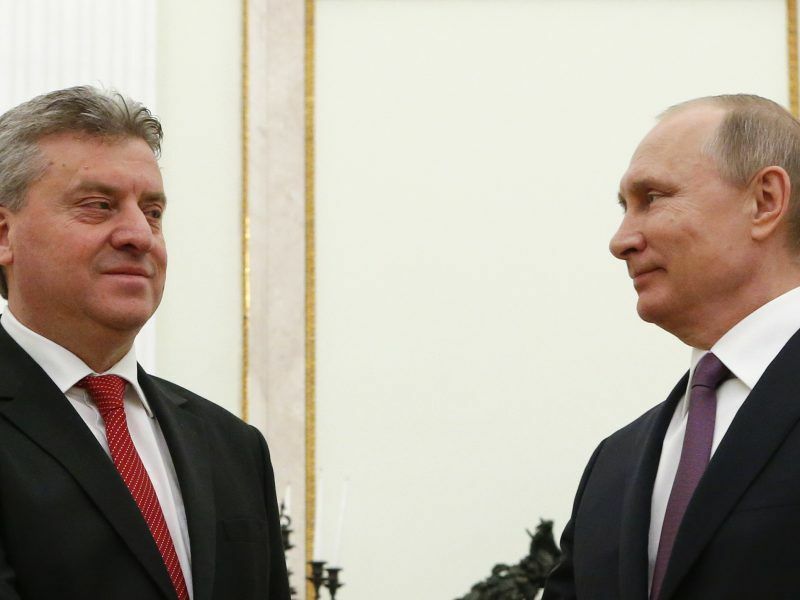 “This means that we must first deal with irredentism in all its forms as well as have guarantees that we will not leave any open window to re-create similar challenges in the future,” the Greek leader added. 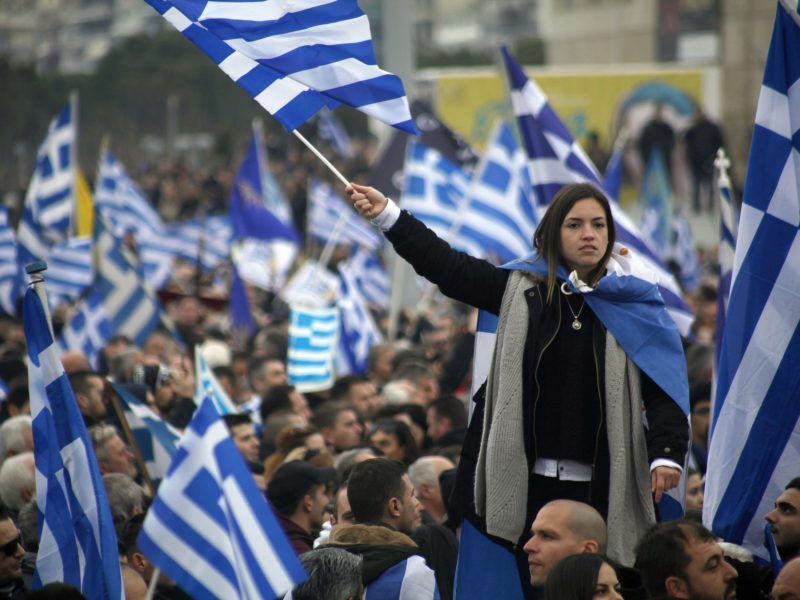 However, New Democracy does not share the optimism of the government and its European political family. Speaking to his lawmakers yesterday, party leader Mitsotakis said that the solution to the name dispute should be sought at another time. “For us, the issue closes here. We will not take part in any way in the dangerous games that the government is going to play, nor do we get involved in tactics. It is a matter for those who have opened up [this issue]. We will not become accomplices in a story that risks injuring the soul of the nation,” Mitsotakis warned. Mitsotakis went further, accusing Tsipras of negotiating in secret without informing the opposition parties and the Greek people. If I were in Tsipras’ position, he said, I would start negotiating first on irredentism issues and would expect tangible results before proceeding. As for the protests that took place last week in Thessaloniki, Mitsotakis said the government was “stunned” by the massive turnout and was trying to slander those who took part. “The majority, however, did not consist of extremists and it is a shame to describe them as such,” he emphasised. Mitsotakis had said that it was a personal decision of each member of his party to participate or not in the protest. Some members of the party, mainly those who are elected in Northern Greece, indeed took part. The ruling Syriza party reacted strongly, saying that Mitsotakis’ statements show his slide towards the extreme-right. “The supposedly liberal Mr Mitsotakis proved once again that he has handed the keys of the party to the extreme-right faction that exists within it,” the party said in a statement and added there were members of New Democracy who do not want the term ‘Macedonia’ to be in the new name. Pro-government newspapers in Athens commented that Mitsotakis is being held hostage to the right-wing faction of his party. “Mitsotakis is serving his internal political interests; he does not hesitate to sacrifice the efforts to solve a national issue in order not to divide the various fiefdoms within his party,” the government noted.